If one reads this book strictly as non-fiction he may be disappointed. I don’t think you can make a point based on certain excerpts, poems or paintings and conclude about an artist’s way of thinking. A work of art could be a result of the artist finally understanding how the brain works, could be an intuition, could be a product of specific mood or chance etc. We will never know. Also, art being art, there is no definite interpretation of what it means or symbolises. However if one reads it more casually it is fascinating. Science, art, history, the lives of great people, all these are intertwined in such a captivating way. Art intrigues and science explains. 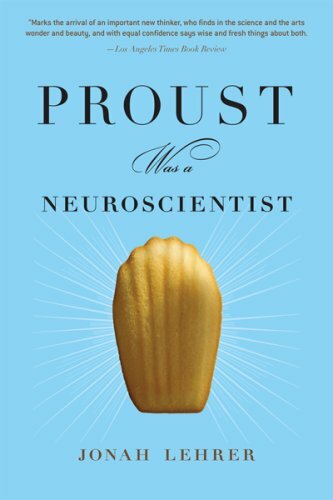 Proust, Cezanne, Stravinsky were my favorites but all stories offered interesting perspectives on art and on how the brain works.